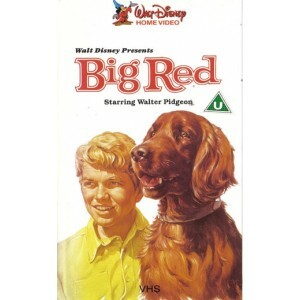 Big Red is a 1962 American family-situated enterprise film from Disney Studios. In light of a 1945 novel by American writer Jim Kjelgaard and adjusted to the screen by American screenwriter Louis Pelletier, the film featured Walter Pidgeon. Taped in the region of Quebec, "Big Red" is an Irish Setter that would rather go through the forested areas than be the consummately prepared and prepped show puppy his sportsman holder (Pidgeon) needs. A ten-year-old vagrant kid (Payant) helps take care of the pooch and dissidents against his holder's strict order of "Big Red." Very family friendly, and has good values about caring about animals, appreciation of their love and companionship, and the value of hard work and education. Beautiful Canadian scenery and some kid-friendly man/wilderness struggle, and- in typical Disney style- a very happy/positive ending. Dog-lovers will enjoy this feel-good movie!